Houston lawyer Kathie Glass announced Wednesday that she will again run as a Libertarian candidate for governor, saying Texas voters are frustrated with the two major parties. 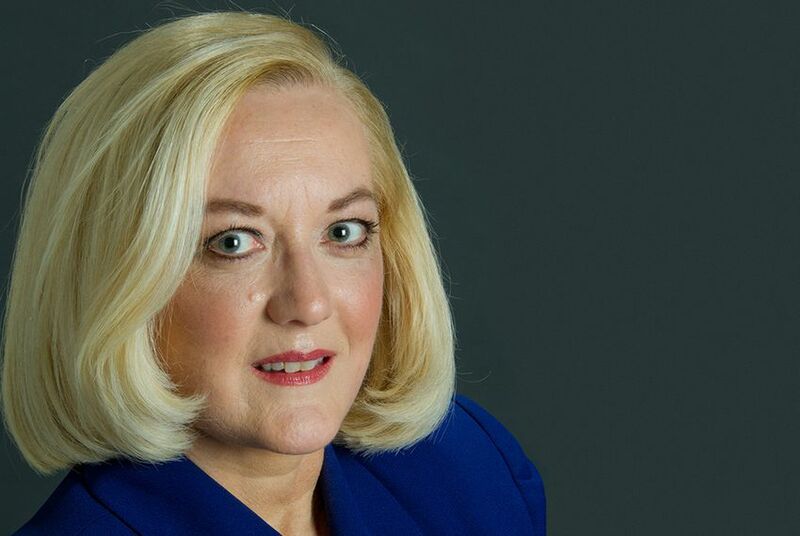 Saying that the current federal government shutdown and tensions between Republicans and Democrats have made Texans ready for a change in leadership, Libertarian Kathie Glass on Wednesday officially announced her candidacy in the 2014 governor’s race. Glass said she plans to visit every county in Texas during her campaign and will talk to Texans about their frustrations with the current state of affairs. Glass said her campaign would focus on the idea of nullification, a legal theory that a state can invalidate federal laws it finds unconstitutional. She said that if she doesn't win, she hopes her election will instill that idea into the public and the winning candidate. “I want to make nullification a household-known concept,” Glass said. "This is our way out of this federal overreach." She said she would nullify the Affordable Care Act, commonly known as Obamacare, and federal regulations on companies that lead them to ship jobs overseas to nations with laxer regulations. "In the current environment, if we keep doing what we have always done, voting within the two-party system, we won't be able to keep what we have got," Glass said. "We have got to chart a new course." Attorney General Greg Abbott, a Republican, announced his campaign for governor in July. He faces former Texas Workforce Commissioner Tom Pauken in the GOP primary. State Sen. Wendy Davis, D-Fort Worth, is expected to announce her candidacy Thursday. Glass said she was not aware of any Libertarian challengers. Steve Munisteri, chairman of the Republican Party of Texas, said he did not think Glass’ run would have a decisive impact. “Libertarians regularly run candidates, so they will get a small percentage of the vote, but I don’t see it affecting the gubernatorial race,” Munisteri said. Glass received 2.2 percent of the vote in her 2010 run. Her husband, Tom Glass, the vice chairman of the Texas Libertarian Party, announced at Wednesday’s news conference that he will be running for attorney general in 2014. He said he is running to battle unnecessary restrictions from the federal government. “I will use the force of the office to stop unconstitutional federal acts in Texas,” Glass said, citing Obamacare, privacy laws, prison regulations and spending. Republicans Dan Branch, a state representative from Dallas; Ken Paxton, a state senator from McKinney; and Barry Smitherman, the chairman of the Railroad Commission of Texas, are also running to succeed Abbott as attorney general. Other Libertarians who announced their candidacies Wednesday include journalist Brandon de Hoyos and Allen businessman Ed Kless, who are running for lieutenant governor; Lago Vista City Council member Ed Tidwell, who’s running for land commissioner; rancher Rocky Palmquist, who’s seeking to become agriculture commissioner; and Austin businessman Mark Miller, who’s running for railroad commissioner. Texas Libertarians wishing to run for statewide office in the 2014 election must file with the party by Dec. 9 and receive a majority vote at the party’s state convention in April.